Rob Papen releases a totally essential Studio Tool for FREE! Is it not often the case that you are far too busy in your studio and need some coffee, tea or whatever? But how do you order it? Or, you are mixing a whole band with many people inside your studio and need to get them quiet again and focussed on what they are meant to be doing! Are you recording a vocalist but ‘auto tune’ gets simply overloaded and you really need something to keep the singer paying attention that it is again totally out of tune? 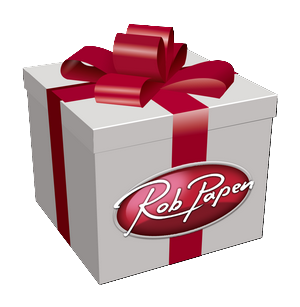 Well, we have now saved your studio and productions because Rob Papen releases the totally awesome and essential studio tool of all time!!! So, make it a default plug-in your songs and take control again!! !...or order coffee, tea or energy drinks! The software is provided to the user "as is". Rob Papen and RPCX makes no warranties, either express or implied, with respect to the software and associated materials provided to the user, including but not limited to any warranty of fitness for a particular purpose. Rob Papen and RPCX does not warrant that the functions contained in the software will meet your requirements, or that the operation of the software will be uninterrupted or error-free, or that defects in the software will be corrected.Rob Papen and RPCX does not warrant or make any representations regarding the use or the results of the use of the software or any documentation provided therewith in terms of their correctness, accuracy, reliability, or otherwise. No information or advice given by Rob Papen and RPCX shall create a warranty or in any way increase the scope of this warranty. Rob Papen and RPCX is not liable for any claims or damages whatsoever, including property damage, personal injury, intellectual property infringement, loss of profits, or interruption of business, or for any special, consequential or incidental damages, however caused. The user is not allowed to distribute the program. Further, the user may not modify, the user may not decompile and the user may not debug the software.Sounds provided within the Rob Papen and RPCX software are also licensed to the user "as is" with the same terms and the additional term that the user may not copy or sample sounds and grooves for soundset distribution use. NOTE: please don’t use this plug-in inside Hotels, Motels, Restaurants and Saunas! 2. For details on how to use plugins in general, please check your music software (host) documentation.